Mamonde Flower Day event was graced with the presence of the brand ambassador, Park Shin Hye on Friday (14 October). Within a week, both leading roles of drama 'Doctors' came to Malaysia to meet the local fans. Right after the male lead Kim Rae Won's fan-meeting, Park Shin Hye was up next. 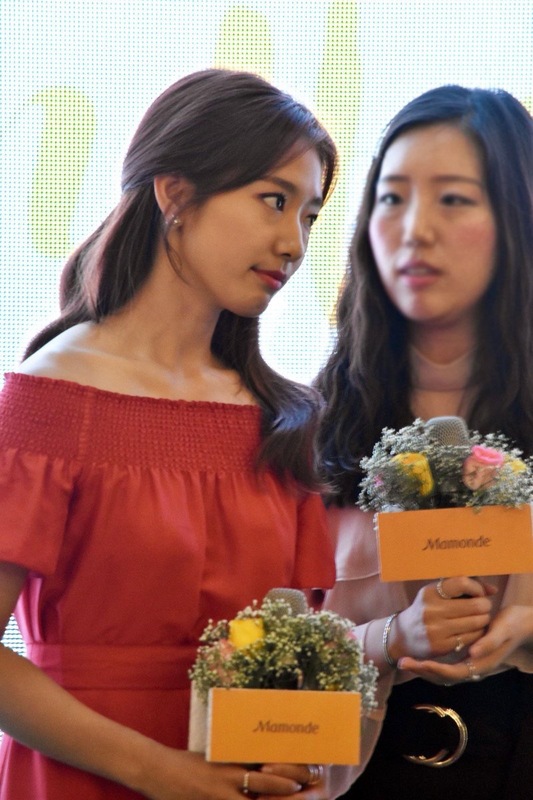 Park Shin Hye appeared in the stunning red dress to officially launch Mamonde Flower Day at 1 Utama Shopping Mall. Arriving in Malaysia for the first time, Park Shin Hye greeted fans and exchanged flowers with Mamonde's management staff as a gesture of appreciation and love for welcoming her to the launch of Mamonde Flower Day. 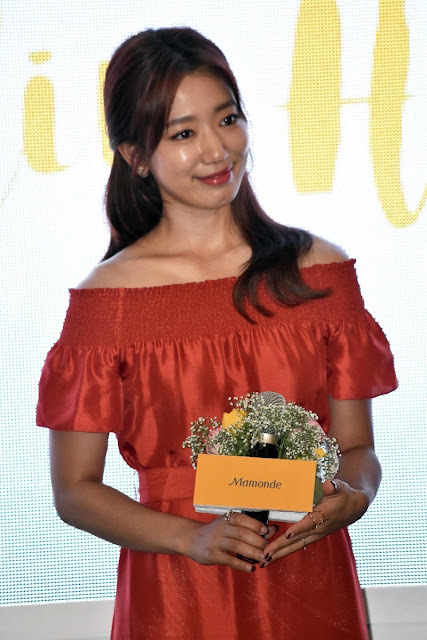 Park Shin Hye said 'I have received lots of messages from Malaysian fans via SNS and I heard there are many fans would like to see me in Malaysia, so today through Mamonde I'm glad to meet all of you here.' She has tried some of our local foods such as 'Satay' and 'Nasi Lemak'. Among all the foods Nasi Lemak is her favourite. Mamonde Flower Day is celebrated to inspire us to show love and appreciation to those who love and admire with the gift of a flower. It is also a day dedicated to admiring the beauty around us, be it the beauty of people or the beauty of Mother Nature. Themed around Mamonde’s flower of the month – the Hibiscus, the LG, Oval Concourse of 1 Utama Shopping Centre is transformed into a flower garden with Hibiscus as the main highlight amidst Mamonde’s other four key flowers i.e the Honeysuckle, Narcissus, Lotus and Camellia. The event was a fun-filled affair featuring a myriad of activities and flower attractions. Participants at the event were treated to game stations such as the Flower Dice and Cotton Candy, photobooth, 5 Key Flowers activity booths and a contest with a chance to win prizes. At the Mamonde Flower Garden, the public was given an opportunity to experience Mamonde’s Five Key Flowers while enjoying special sets and gifts with purchase. Since its launch, Mamonde has transformed women through the amazing benefits and energy of flowers. Years of research by Mamonde have revealed the moisturizing and skin- nourishing ingredients of flowers which have helped women radiate with blossoming beauty. Mamonde Flower Day will be a yearly celebration of love and appreciation by Mamonde in the month of October, which coincides with Mamonde’s introduction in Korea in October 1991. Special thanks to K-popped! for providing us the photos and Mamonde Malaysia for the passes and samples giveaway. Check out Mamonde Malaysia for more info.